The Minister of State for Revenue Hammad Azhar has announced that mobile phones sold after 1st December 2018 that are not customs duty paid (i.e. smuggled) will be deactivated by PTA after a lapse of 30 days. He announced that those travelling to Pakistan will be allowed to bring in only one cellphone per year which will be free of customs duty as per personal baggage rules. 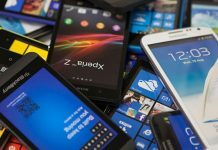 The minister said that although a maximum of five smartphones can be brought under the new regulations in a year, customs duty, however, will have to be paid on the extra four handsets to be fully functional in Pakistan beyond 30 days. However, phones currently in use or activated before December 1 will not be affected or require any registration, he added. 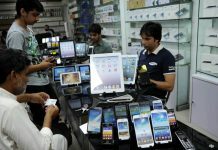 The state minister further said, “The cabinet has also approved the relaxation in policies regarding the commercial import of new and used mobile phones,” adding that the ban on commercial import of used phones has also been lifted if the phone models conform to PTA regulations and duties and taxes have been paid on them. Regarding the implementation of this policy, the minister said in another tweet that the customs electronic automated system has already been intergrated with the PTA’s DRIBS system. The IMEI numbers of customs duty paid phones is automatically uploaded into PTA’s database. Earlier, Information Minister Fawad Chaudhry on Friday had announced that the cabinet had decided to install a new Device Identification Registration and Blocking System (DIRBS) to block the smuggled phones after December 31. “The restriction will not be imposed on the phones already in use,” he added. Agr apko koi bata de ru mujhe b infrom ker do ,mera b bahir se note 8 used mae araha hai tu kea uspe tax hai ?used mobile pe aur age hai tu kitna hai ?